You are welcome to the webpage of Systems Medicine Group! This is an unique place, where you, as a PhD or master student, can both write mathematical equations to model medical or biological data and take part in real wet biological experiment. Here you can find general information about our approach. For more details about our current projects go to " Research". 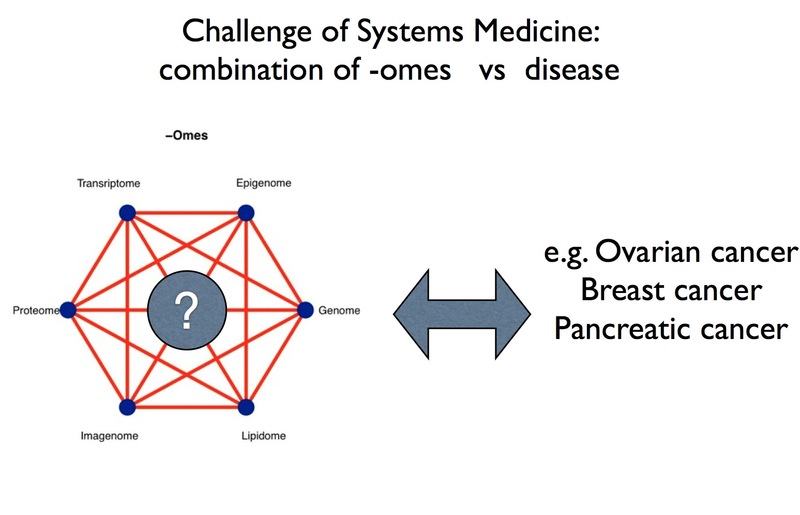 Systems Medicine is part of Systems Sciences, it means that we are researching general, system's independent and universal laws which govern the behaviour of complex systems. We are part of the Institute for Women's Health and applying this approach to medical data, mainly for women's cancer. 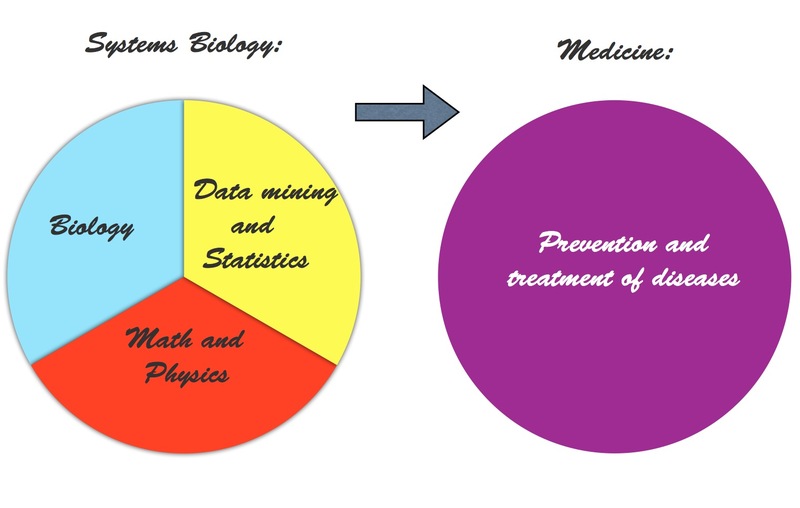 To perform effective statistical analysis of medical data we develop new statistical methods, using modern advances in Bayesian Statistics, Marcov Chain Monte Carlo methods and Network Analysis. At the same time, to verify our theoretical research on modelling complex biological systems we collaborate with wet biologists in UCL and worldwide. Schematically, our approach can be represented with the following diagramm.